What an interesting collection or ironwork. Odd and interesting. Are these section-samples of fences that you could order? @gardencat The blue is a ramshackled building in the heart of town. It is a very strange building added to bit by bit over the years. By one man. I also guess he had only one shade of paint and a job lot. It’s mainly bespoke but these pieces have been hanging around for years. 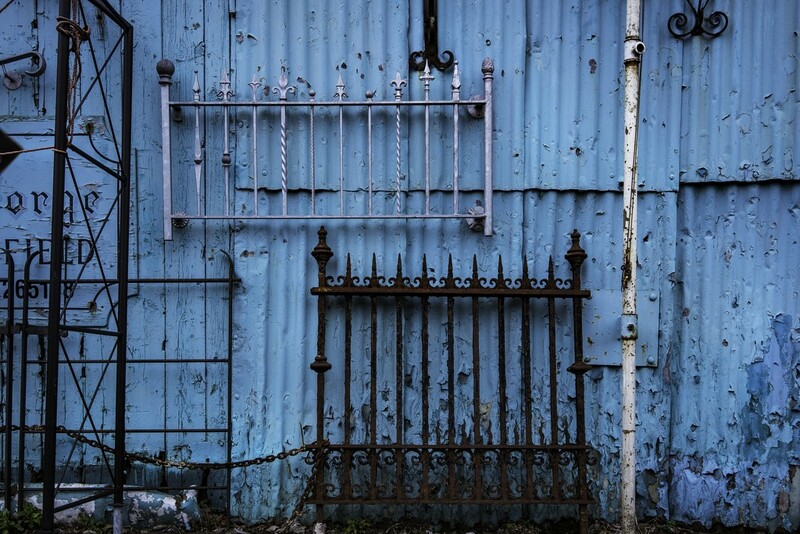 Love the rusty fence against that blue.